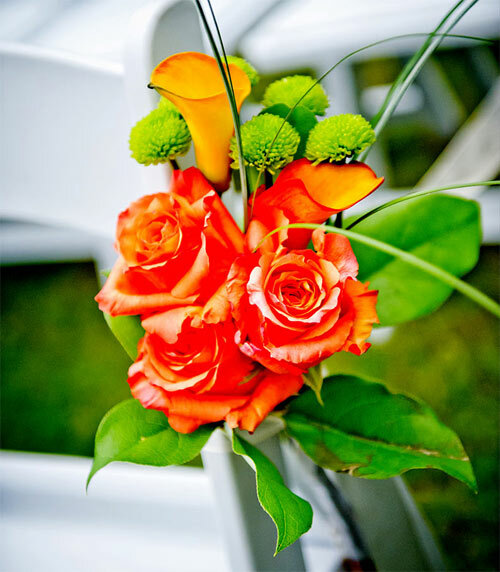 I’ve attended weddings before that had gorgeous flower arrangements hanging on the inside row of the aisle of chairs that the bride would walk down. Then about 15 minutes before the wedding I noticed people & children were bumping them and knocking them on the ground. This seems to takes away from the beauty of the ceremony doesn’t it? What if the florist had just purchased some small white removable cable ties (BuyCableTies.com has these) to secure the flowers more tightly to the chairs? They even make releasable zip ties that you could use to easily remove these after the wedding and reuse for the next one. What do you think of this idea? It seems nylon ties like this could work for other temporary modifications to a room such as attaching decorations to the ceilings or columns, hanging anything in trees or bushes, or even preventing items from blowing over in the wind….